Dr Lynn Saunders Hon is the Governor of Whatton Prison and has worked for the Prison Service for 25 years. She qualified as a Probation Officer in 1986 and has a degree in Applied Social Sciences and an MA in Criminology. She set up, along with other colleagues, the Safer Living Foundation, a charity to help prevent sexual (re) offending, in 2014. 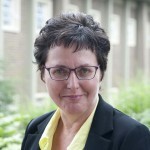 She is currently Chair of the organisation and is engaged in a part-time PhD at Nottingham University studying the transition of people convicted of committing a sexual offence from custody to the community. She has worked with people convicted of sexual offences for most of her career and is considered to be one of the more knowledgeable and compassionate prison Governors in this difficult and controversial area. Lynn was awarded an Honorary doctorate from Nottingham Trent University in 2015 in recognition of her work with this group of offenders. She was awarded an OBE in the 2017 new year’s honours list. Dr Kerensa Hocken is a HCPC Registered and BPS chartered Forensic Psychologist who specialises in the assessment and treatment of people who commit sexual offences. She holds a senior position in Her Majesty’s Prison and Probation Service (HMPPS) as a Cluster Psychology Lead with responsibility for sexual offending strategy across Midlands prisons. Kerensa has worked with people who commit sexual offences since 2001 and has a special interest in the assessment and treatment of those with intellectual disability, completing a PhD on the risk assessment of men with intellectual disability who commit sexual offences in 2014. In 2016 Kerensa was the overall winner of the prestigious Butler Trust award, recognised for her long term work in custody with those who have an intellectual disability. She is an internationally recognised expert on sexual offending and has published widely in the field. 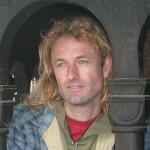 More recently Kerensa has written about the role of compassion and acceptance methods for working with people who commit sexual offences and has been pivotal in the initiation and development of a forensic special interest group for compassion focused therapy within the compassionate mind foundation. She is the author of the SLF Aurora prevention intervention. Kerensa is a trustee and co-founder of the Safer Living Foundation (SLF). 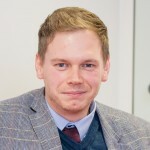 Dr Nicholas Blagden is a co-founder of the Safer Living Foundation, Senior Lecturer in Psychology, Chartered Psychologist and Associate Head of the Sexual Offences Crime and Misconduct Research Unit. He has worked and researched within criminal justice and prison settings for over 10 years. He has led programme evaluations, has a track record of high quality research and disseminated his work widely in international journals. He works collaboratively with HMPPS, MoJ, Correctional Services Australia and numerous third sector organisations. 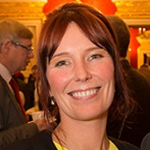 Professor Belinda Winder is a co-founder and Vice Chair of the Safer Living Foundation. 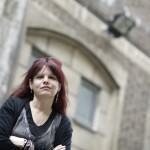 Belinda is a Professor in Forensic Psychology and is Head of the Sexual Offences, Crime and Misconduct Research Unit (SOCAMRU) in the Department of Psychology at Nottingham Trent University. She works closely with a number of prisons, including HMP Whatton and HMP Stafford. SOCAMRU specialises in conducting qualitative and quantitative research and evaluations that have an applied focus with practical outcomes. Belinda has a particular focus on engaging and involving service users (prisoners and those with convictions) with research and evaluations, and runs monthly service user groups in prison/community. She has received two Butler Trust certificates for her work on prisoner rehabilitation. Belinda is responsible for overseeing the research and evaluations that underpin the charity’s projects. She was a co-founder and trustee of the environmental charity Trees for Cities and has substantive experience in setting up and managing charitable organisations. Rebecca Lievesley is a co-founder and trustee of the Safer Living Foundation. Rebecca is a senior lecturer in psychology and a member of the Sexual Offences Crime and Misconduct Research Unit (SOCAMRU) at Nottingham Trent University. She started her career as a researcher following her MSc, before progressing towards a PhD and lectureship. She has worked and researched within the Criminal Justice System since 2008, working closely with a number of prisons, the National Offender Management Service and the Ministry of Justice on research and evaluation projects. This includes an investigation of reoffending and desistance in those serving short sentences, an evaluation of anti-libidinal medication for individuals convicted of a sexual offence, and help seeking prior to committing a sexual offence. 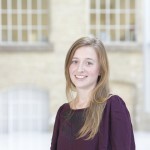 Rebecca is involved in the research and evaluation of the SLF’s projects and is also currently developing work around the prevention of sexual offending and working with non-offending populations with self-identified paedophilia. Steve Turner has worked for the Prison Service for 18 years, joining at the age of 42. Prior to this, on leaving full time education, he worked as a Pathology Laboratory Technician at a Nottingham Teaching Hospital, where he studied for and completed a BSc in Biomedical Sciences. Steve also worked for a period for the Saudi Arabian Armed Forces at their Military Hospital in Riyadh, Saudi Arabia. On his return to the UK, he was involved in various medical research projects, before moving into Pharmaceutical sales, working with GPs and Hospitals across the Midlands. Steve then moved into the Prison Service driven by a desire to work in a ‘people centred’ environment and to effect positive change. During his time in the Prison Service Steve has worked at various establishments in the Midlands and has been involved in a number of major change projects for the Service. He is currently seconded from his role as Head of Reducing Reoffending at HMP Whatton in order to lead on the OMiC (Offender Management in Custody) implementation at the establishment. Steve has been a Trustee with the Safer Living Foundation since its creation and worked with the team on its development. Dr David Rowson is a Forensic Accountant at the Solicitors Regulation Authority (SRA) and a Fellow of the Institute of Chartered Accountants in England and Wales. 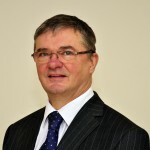 David qualified as a Chartered Accountant in 1986 and worked in private practice for ten years in a variety of roles including auditing, charity accounting, business advice and taxation planning to individuals and companies ranging from small businesses to large corporations. He specialised in investigation work before joining the SRA in 1996. He has worked with many charities as a Chartered Accountant and Treasurer since 1992, including Trafford Crossroads and Trees for Cities. He has completed a PhD in fraud management and investigations and was a contributor to the book, A Psychologist's Casebook of Crime: From Arson to Voyeurism, as a co-author of a chapter on fraud. David has been involved with the Safer Living Foundation since its formation and became Trustee and Treasurer in 2014. Professor Geraldine Akerman is a chartered and HCPC registered forensic psychologist and Associate Fellow of the British Psychological Society. She worked for the prison service since 1999 assessing risk and providing treatment to men convicted of violent and sexual offences and with complex needs. She is been on the Committee of the Division of Forensic Psychology since 2009, and the National Organisation for the Treatment of Abusers Research committee. Geraldine was the co-editor of Forensic Update and currently a reviewer for it, along with other major journals in the area of Forensic Psychology, and the Issues in Forensic Psychology book series. Geraldine is a visiting Lecturer at the University of Birmingham and Cardiff Metropolitan University. Geraldine has published book chapters and in peer reviewed journals on a range of subjects and was awarded a PhD by the University of Birmingham in 2015. 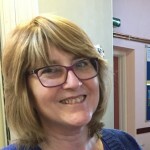 Geraldine has been a member of Therapeutic Communities Accreditation Panel, and the JUSTICE working party for sentencing sexual offences since January 2018. Geraldine currently works as the Therapy Manager on the Enhanced Assessment Unit at HMP Grendon. Geraldine was presented with the Senior Practitioner Award by the Division of Forensic Psychology 2018 for distinguished contribution to forensic psychology.